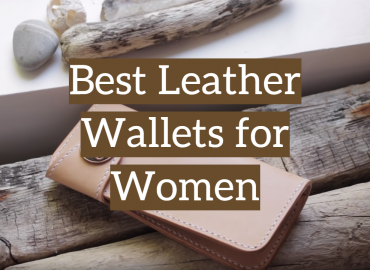 Leatherwork is truly an art. As such, it requires patience, practice and talent. That is not all, however, as it also requires using the right tools. Diamond chisels for leather In preparation for this article about diamond chisel for leather, we tried some of the most notorious products of this kind. What is a Chisel for Leather? 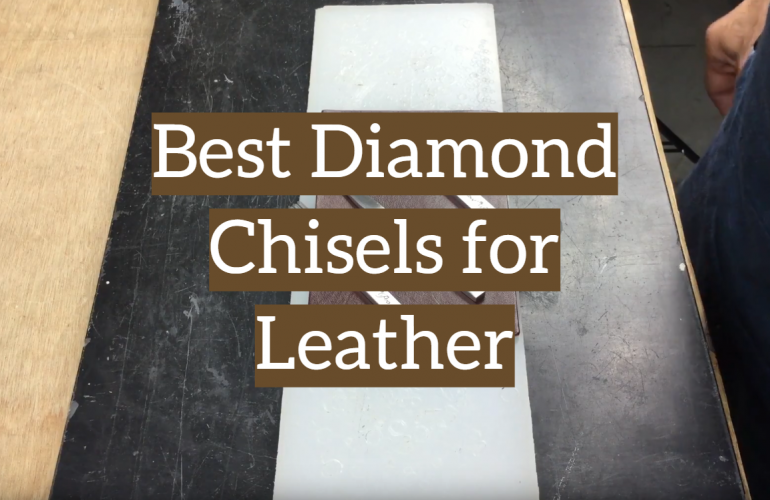 What Are the Advantages of Using a Diamond Chisel for Leather? How to Start a Stitching Line Using a Diamond Chisel for Leather? How to Use a Diamond Chisel Approaching a Sharp Corner? 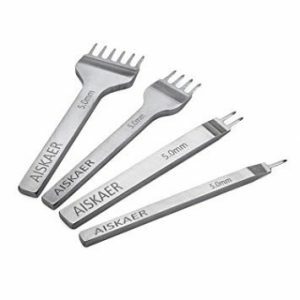 There are very good reasons why Aiskaer is one of the most well-known stitching chisel manufacturers, and this product is one of them. Polished, smooth and sharp, it is incredibly effective at producing evenly-sized diamond-shaped piercings in leather. Made of white steel, the 4mm diamond chisels that come in this set are tough and durable. What is more, no matter how intensely they are used, these chisels hold their shape remarkably well. As a result, they are very consistent in their performance. Very durable. Handle is not ergonomic. Made of pure stainless steel, the four chisels included in this kit are capable of puncturing the thickest, richest leathers without any inconveniences. In addition, they are incredibly resistant and durable. 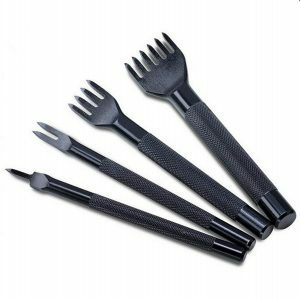 Apart from being tough and sharp, these four tools are ergonomic in their design, preventing errors. What is more, they all have anti-slip handles that will help you avoid terrible mistakes. Features anti-slip handles. Prongs can be slightly misaligned. Ergonomic design. Handle is somewhat short. Elegant and stylish, this diamond chisel set for leather has a way of catching your eye. That is not all, however, as it also offers a considerable level of efficiency in its performance. Carefully crafted, each piece in this diamond chisel set for leather features one or more prongs that are sharp and precise when puncturing the leather. 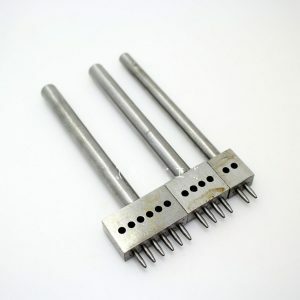 In addition, due to their improved design, these prongs are easy to pull out after puncturing. Carefully crafted prongs. Puncturing requires some force. Easy to pull out after puncturing. Somewhat heavy. 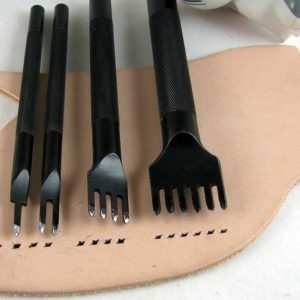 This leather crafting toolset is comprised of four different 4mm diamond chisels. Composed of an ergonomic, anti-slip handle and a sturdy head with sharp prongs, each one of these chisels feel good in your hand as you puncture. Made of pure iron, the four chisels included in this set are tough. However, they are not as refined or precise as one would want. Even worse, their prongs are prone to becoming deformed or misaligned after some use. Ergonomic handles. Prone to becoming deformed. Anti-slip handles. Prongs can get misaligned. Despite sporting a rough, somewhat unrefined look, the three diamond chisels for leather included in this kit are capable of producing perfectly-shaped diamond piercings. 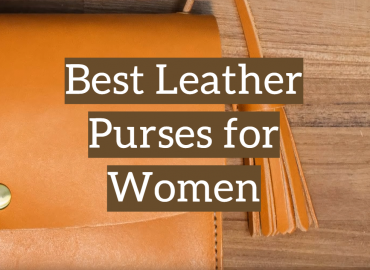 This design allows you to puncture leather with very little effort. 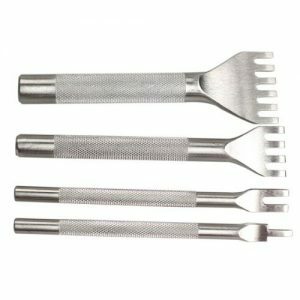 Each stainless steel in this set chisel has one or more prongs with a diameter of one millimeter. It needs to be noted, however, that the distance between prongs is 5 mm. At any rate, the design of these chisels allows you to produce punctures with ease. Punctures leather with very little effort. Only includes three chisels. Durable. Can be difficult to handle. Resembling a fork, stitching chisels allow users to set up a stitch placement on a piece of leather. To do this, these chisels feature slanted prongs that help puncture the leather without damaging or ripping it. Now, there is another tool that can help you do basically the same thing: The pricking iron. There is a huge difference between these two tools, however. While pricking irons only mark the stitch placement, requiring you to make a puncture with another tool, diamond chisels produce an actual hole in the leather, reducing the amount of work you have to do in order to finish the saddle-stitching process. What is more, diamond chisels for leather prevent you from having to purchase additional tools from puncturing. Budget-friendly: By and large, diamond chisels for leather are very affordable. 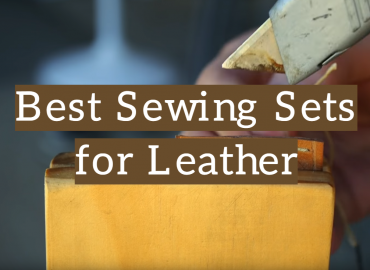 Sure, they do not tend to last as long as other tools for saddle-stitching. However, they are a good option when the budget is the main concern. Eliminated the need for other tools: As previously mentioned, using a diamond chisel for leather enables you to pierce the leather all the way through, making a diamond-shaped hole that is ready for stitching. As a result, using this tool eliminates the need to use a diamond point awl or any other puncturing tools. By using fewer tools, you will reduce your costs. Makes leather stitching quicker and easier: By eliminating additional steps and the need to use additional tools, using diamond chisels makes the process of saddle-stitching leather a great deal quicker and easier. What is more, using this type of tool requires less coordination and skill than using diamond point awls and pricking irons. When attempting to use a diamond chisel for leather, many people are not sure where to begin the puncturing. This can be easily fixed with a little bit of insight. 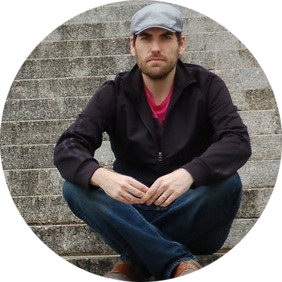 Set the chisel on the channel you created using your groover. Set the last prong on the chisel right over the edge of the piece of leather. Then, simply move the first prong where the second prong now rests. That is the perfect starting point. Another situation that tends to be problematic for saddle-stitching beginners is knowing what to do when you approach a sharp corner. The reason for this is that, more often than not, the natural spacing of the chisel will cause a hole to be too far outside of the groove. To prevent this, use a one-pronged chisel to create two or three holes that are more spaced out than the rest as you approach the corner. Without a doubt, a diamond chisel is one of the most useful tools for leatherwork. 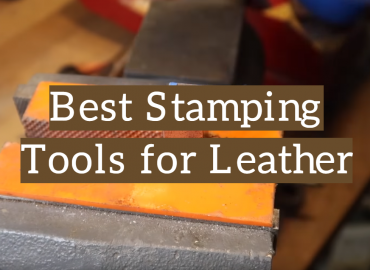 Allowing you to make precise punctures for leather stitching, these tools can make a huge difference in your leather game. Hopefully, this quick guide will help you choose the right diamond chisel product for your particular needs.